Bill and Henry get cooking in the Borough Theatre! Latest news is that Bill Granger’s appearance at Abergavenny Food Festival (Sunday 19 September 2.00pm) is going to get practical. Bill is now going to demonstrate the Aussie take on healthy fast-food with a dish or two from his new book Bill’s Basics. 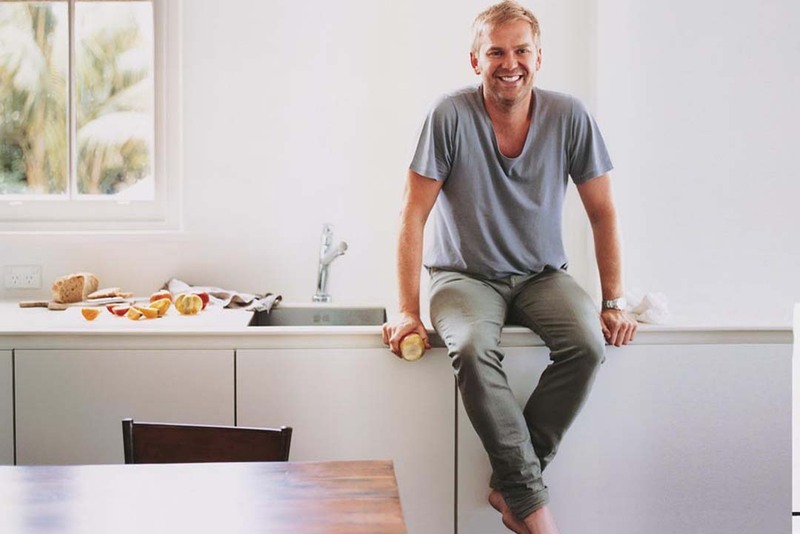 Bill Granger, a self-taught cook, established his first bill’s restaurant in Sydney at the age of 22. There are now three bill’s in Australia and two in Japan and momentum is gathering towards opening his first London restaurant. His cookbooks and TV series have won a world-wide following for his relaxed, joyful and down-to-earth cooking. 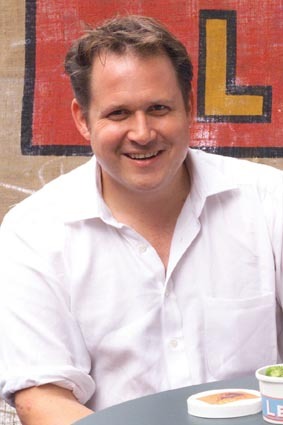 Bill is being interviewed by Henry Dimbleby – co-founder of the Leon restaurants – who is himself no slouch in the healthy fast food department; and word is that Henry too may be rolling up his sleeves to demonstrate something from his new book Leon Book 2, Naturally Fast Food. Bill Granger is appearing on BBC 1 Saturday Kitchen on Sat 18 September.